The perfect pair of men's work boots exists. We know, it’s hard to believe, but they’re here. 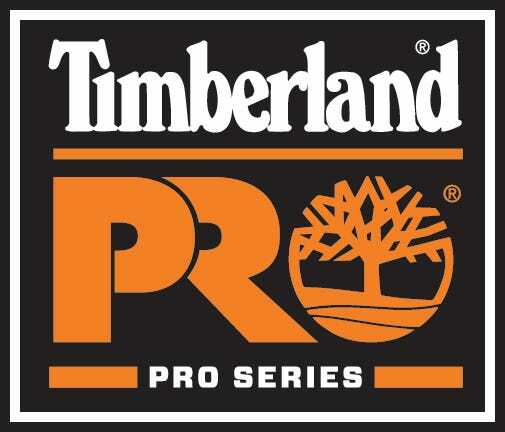 These Timberland PRO Men's Black Workstead TB0A1Q2W 001 6 Inch Work Boots are super durable, incredibly comfortable, and protective, too - and they're available right ... (see full details) (see specifications) #TB0A1Q2W001. The perfect pair of men's work boots exists. We know, it’s hard to believe, but they’re here. These Timberland PRO Men's Black Workstead TB0A1Q2W 001 6 Inch Work Boots are super durable, incredibly comfortable, and protective, too - and they're available right here at Working Person's Store. You can trust these men's mesh-lined boots to last because they are built with durability in mind. They feature an upper crafted from full-grain leather in the color black. As a material, leather is hardy and resistant to the wear and tear that comes with regular use. Beneath the leather upper found on these men's composite safety toe boots is a non-marking, all-weather thermoplastic urethane outsole. It's a sturdy rubber outsole that mirrors the upper's strength well. To bond together the upper and outsole, cement construction is used. It unites them to offer a durable build that you can rely on daily. It's also worth mentioning that although cement construction is tough, it is not heavy as the name would imply. Plus, the Timberland PRO work boots are entirely metal-free, so they don't have the heaviness that metallic footwear has. In addition to durability, these men's leather boots are capable of keeping your feet safe. You can rely on them to protect your toes from drop impact and compression because they're built with a composite toe. The composite safety toe features CarbonShield technology, and it meets the requirements for the safety standard ASTM F2412-11 and F2413-11 I/75 C/75. Aside from protecting you, the composite toe also offers the benefit of being lightweight because it is non-metallic. The black Workstead boots offer protection from harm in the form of a slip-, oil-, and heat-resistant outsole. The sole offers increased traction on slick surfaces, and it's resistant to heat up to 248 degrees Fahrenheit. And lastly, the footbed found in these 6-inch slip-resistant boots is static-dissipative to keep you safe from conduction. The aforementioned footbed also offers comfort in the form of support and moisture management. And aside from the footbed, these heat-resistant men's boots offer other comfortable qualities, too. It starts with mesh lining on the interior. The perforations in the mesh allow air to pass through the non-metallic boots. As the air reaches your feet, it helps to prevent overheating and subsequent sweating. Plus, the mesh lining features antimicrobial treatment, which means it can reduce odors and bacteria buildup. Instead, you'll have a clean place for your feet to work. In addition to the mesh lining, these all-weather boots are made with an anti-fatigue footbed. The footbed provides support due to the dynamic arches and polyurethane cover. The polyurethane cover, which features open-cell design, also promotes breathability and heat dissipation to avoid sweating and overheating. Finally, the fiberglass shank found in non-marking leather boots can reduce soreness and foot exhaustion. It does so by absorbing the shock that results from ground strike impact. The shank takes the hit of the harsh ground, so your feet can stay comfy and energized longer. Get these Timberland PRO Men's Black Workstead TB0A1Q2W 001 6 Inch Work Boots here at Working Person’s Store today for comfort, durability, protection, and most importantly, perfection. Timberland PRO Boots: Men's Black Workstead TB0A1Q2W 001 6 Inch Work Boots is being added to your cart.